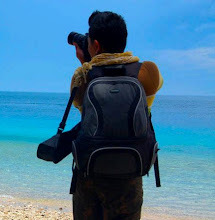 You're a backpacker talaga, kuya! 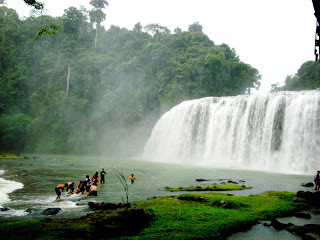 Tinuy-an falls has a majestic natural formation and a must-visit-place. 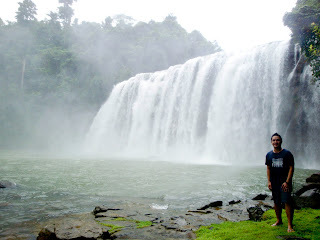 It's truly one of the best waterfalls in the country. 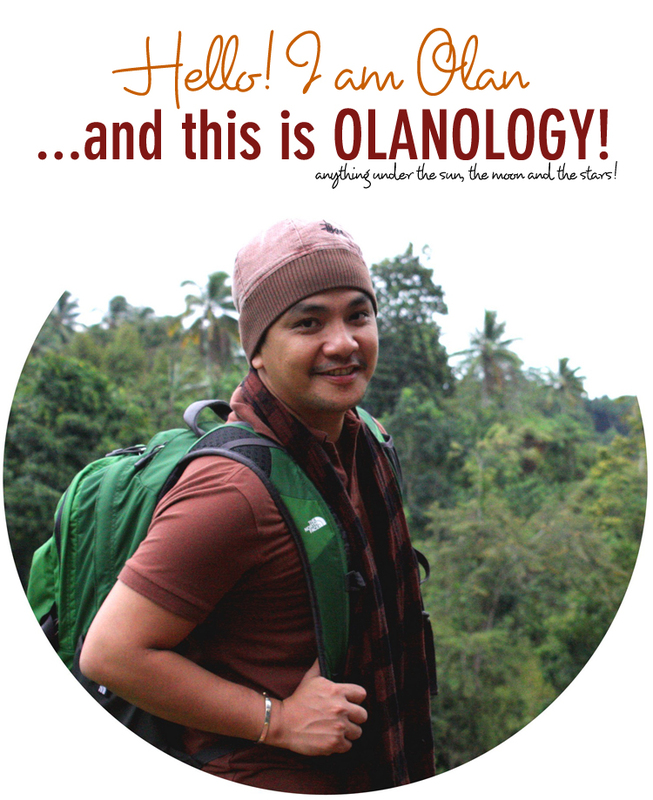 What's your next destination, Kuya Olan? 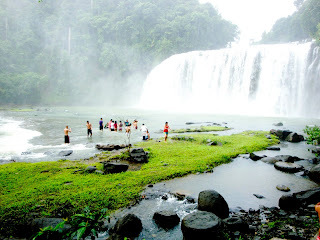 ganda talaga diyan sa bislig. may kaibigan ako diyan kaya walang problema kung pupunta diyan. 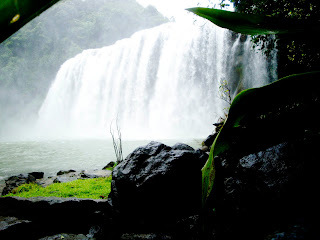 ang lakos ng agos yung mga nakita ko dati sa ibang post mahina yung agos. 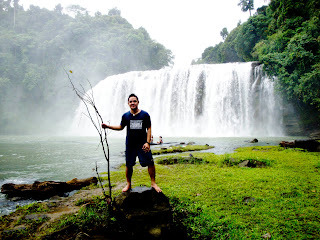 the return of the mindanao travel blogger! 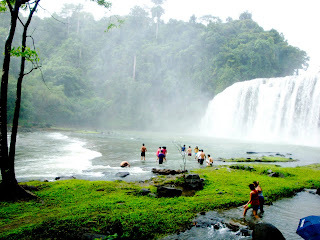 @ Paul JR Ang - Coming up na ang Enchanted River. @ Dong - Thanks Dongs. 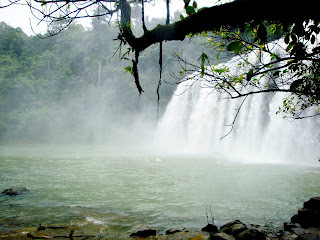 We're lucky cause abundant ang waters when we were ther inspite of the El Nino phenomenon the country experiences today. 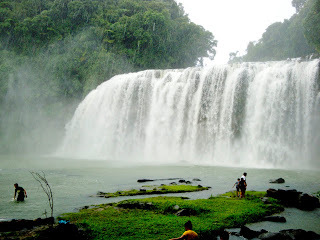 It was raining when we get there actually but twas still a very fulfilling experience. Thanks Dong. April 26, 2010 at 8:37 AM delete This comment has been removed by the author. 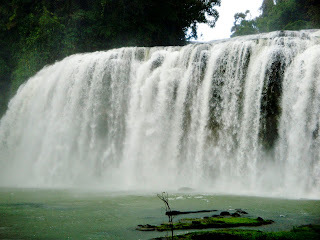 I've been seeing this Tinuy-an falls of Bislig, Surigao del Sur in so many photos. And even in our LBP Calendar. 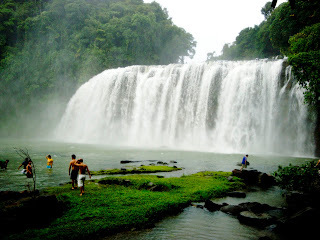 That means, these are really a natural wonders in the Philippines. 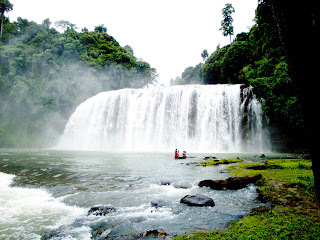 Duol ra unta ni sa Bukidnon at 8 hours ride, I think. We will probably hit this place in our list of dream destinations. Pare musta? 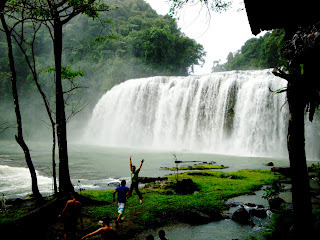 napadpad ako sa blog mu ulit because I want to visit tinuy-an falls....sulit ba? meron pa ba yung promo na one trip kayo? Yung grupo na sinamahan mo? GUD DAY BROD. 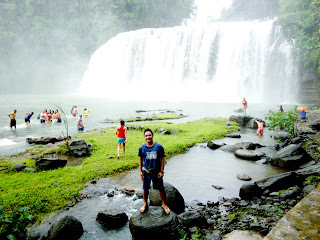 IM JUN FROM CEBU. 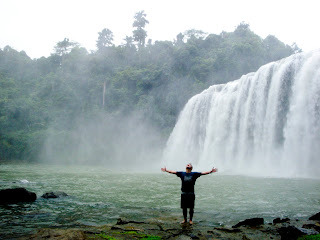 IM AN ADVENTURER ALSO AND IM PLANNING TO HAVE MY BLOG PERO DI KO ALAM PAANO GAWIN. 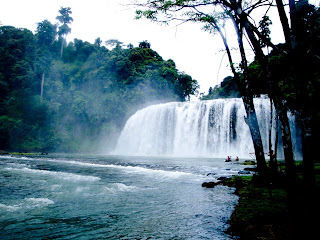 IM JEALOUS OF YOU KASI MAGANDA ANG BLOG MOO . 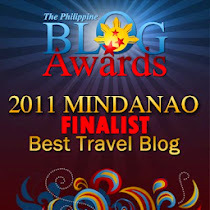 SANA MATURUAN MO AKO THKS SA BLOG MO CAUSE IT HELPS ME ALOT. awesome! 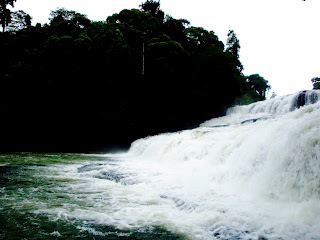 Tinuy-an Falls is truly captivating! Does look like Niagara based on your photos. This is greaaaaaaaaaaaaattt!!!! Our next team building should be in this place!! 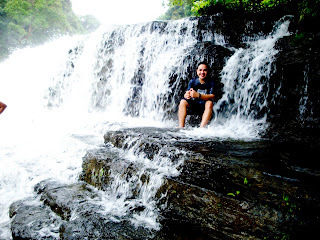 That looks like fun and waterfalls are something truly magical!